Before the season started I told you all that the Patriots would be playing a team of birds in the Super Bowl. 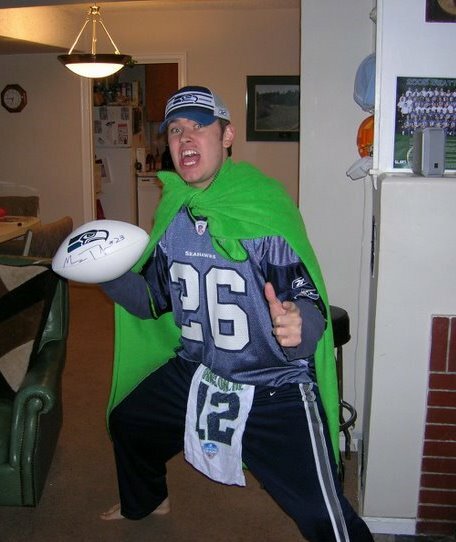 If you want to get into specifics I said it would be the Seahawks, but is that really what you want to do? Get into specifics? If so you came to the wrong place pal. 'Round these parts we deal in broad generalities that occasionally coalesce into a coherent thought. So let's get into some of that! I'm assuming you know by now that this is Super Bowl LI, which has to be a boon for all the people named Lee (or Leigh) out there. I know that if that were my name I'd walk around my viewing party saying, "Now this is MY kinda Super Bowl!" Annoyed acquaintances would most likely grumble, "That's not how your name's spelled." To which I'd reply, "Thanks for bringing the onion dip. It SUCKED!" Hopefully that person did indeed bring onion dip to the party, otherwise that acerbic retort will ring a tad hollow. Another interesting angle to this game is that "Super Bowl LI" kind of sounds like "SuperBowly." So the question is just how SuperBowly will Super Bowl LI be? The good news is that no matter what happens in the game you can say "That was so SuperBowly" or "That was so Super Bowl LI" and that statement will be true no matter what. Everybody at your viewing party will thoroughly enjoy it; and if they don't, refer to my onion dip comeback from earlier. You never cease to befuddle me Cris. Nevertheless, I'll agree with him and take New England. And that's coming from a guy who's correctly predicted 3 of the 7 Super Bowls since he's been doing this. Thanks for reading and I'll see you all (and most likely thousands more) next season! I'm putting the house on your prediction...don't let me down!